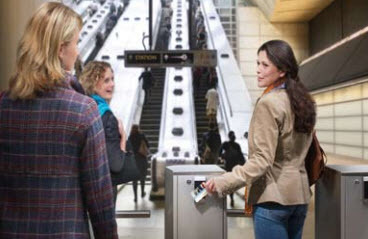 The Moscow Department of Transport has selected NXP’s MIFARE Plus to serve in its new “TROIKA” smart card project. The new multi-modal transport card will integrate metro, urban railway, tam and bus ticketing into a single MIFARE-based solution; with suburban trains, parking, road tolling and other city services to be added in the near future. In addition, 25,000 new topping-up points are being introduced across the city. The new readers will assist both the transport and passengers by reducing cash desk queues, while offering more flexible distribution channels to passengers buying tickets. The new readers will contain NXP’s reader ICs and MIFARE SAM AV2 for secure key storage and back-end connection to the central server. Since January 2011, the City Transport Committee of St. Petersburg, Russia has been using the NXP MIFARE Plus-based solution to power its “Podorozhnik” electronic transport card. The unified transport card features an integrated eWallet that enables passengers to gain access to all public transportation systems in St. Petersburg. In addition, NXP’s MIFARE Plus solution is also powering ground transportation in Sochi, a city in Krasnodar Krai, Russia and host of the 2014 Winter Olympics.